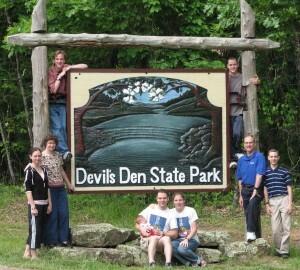 Devil’s Den State Park is located in northern Arkansas. 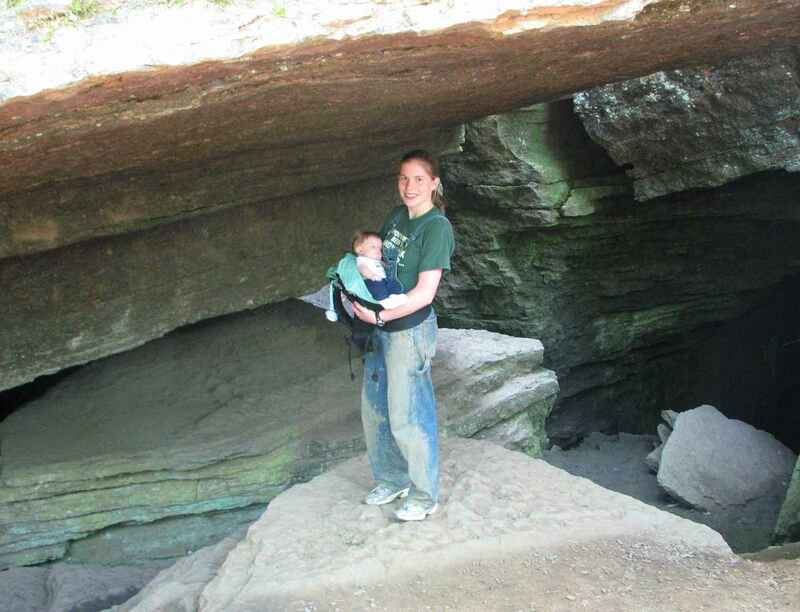 The Cahill family has visited the area several times but it had been about 8 years since they were last here. 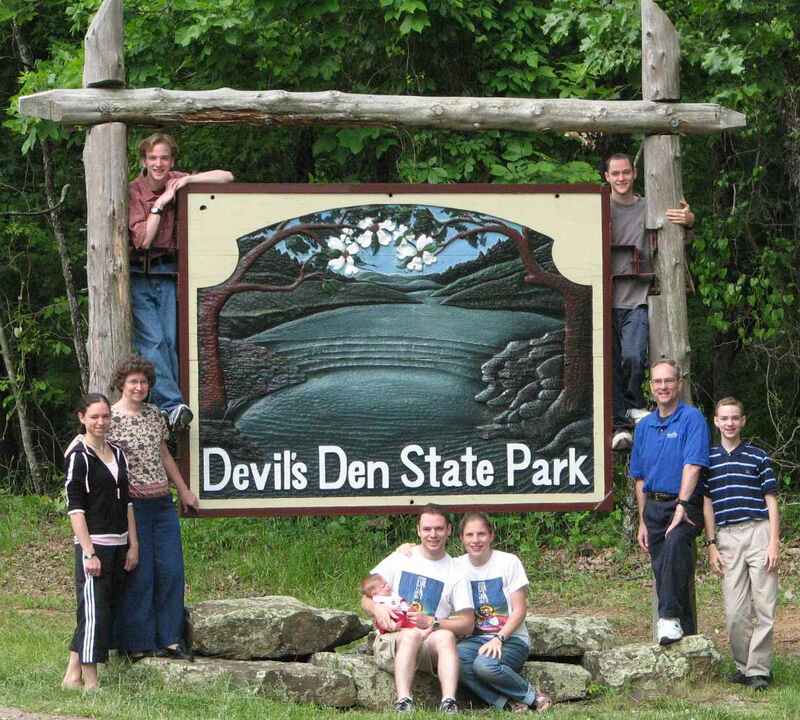 Brian was very excited when we heard of plans to vacation here this May and we made our plans to join them. 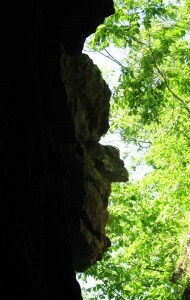 The park is so named because the devil’s own face can be seen in a rock outcropping (1st photo). 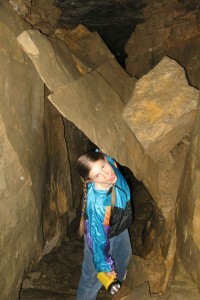 The face is not from from the mouth of the main cave in the park – thus making that cave his den. 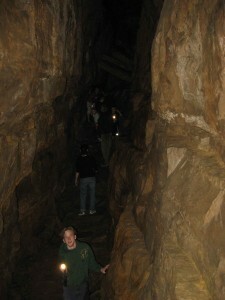 The cave sports several “landmarks” like the guillotine (above) as well as some cute little bats. Surprisingly, despite the alleged occupant, there are no bugs, spiders, snakes and the like inside the cave – making it perfect for exploring. 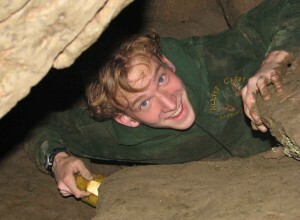 Here Daniel is squeezing out the exit of a less know passage in the cave called Satan’s maze. A tight squeeze, several dead ends and ankle deep mud are just a few challenges that meet the explorer. But the ranger said there was a way out and Brian was determined to find – no matter the cost. 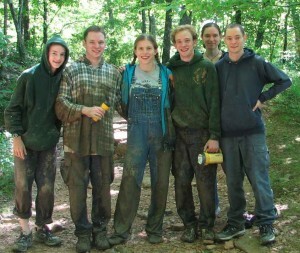 Here are the muddy adventurers who dared to the fearless leader into the depths of the earth and lived to tell the tale. A nearby cave is called the “Icebox” because a draft produces wind chill that makes this cave feel cooler than the other ones. Lance and I pose in the mouth – his first introduction to spelunking. (no he didn’t go inside). 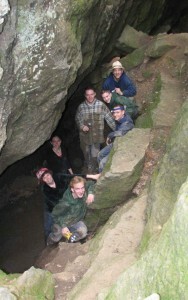 Brian and Daniel again ventured in pursuit of a promised connecting passage between the two caves. They found the group taking a nice tour of the icebox and coaxed them into venturing down the passageway. By the time the passage got tight and difficult, they were too far in to back out and so the whole family became explorers…it’s just a good thing everyone was skinny.